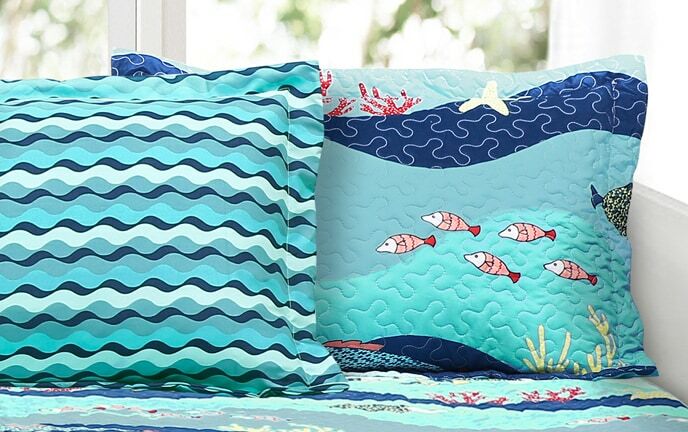 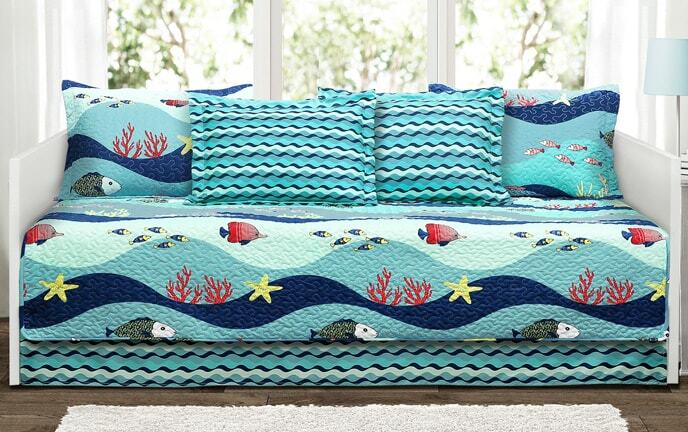 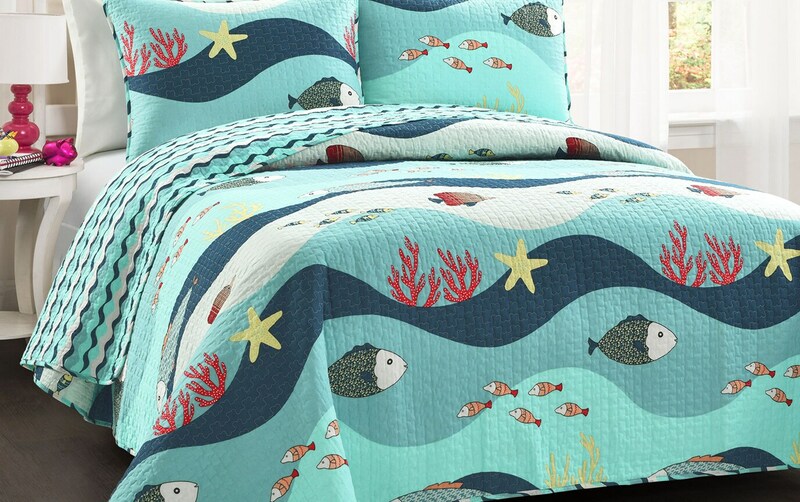 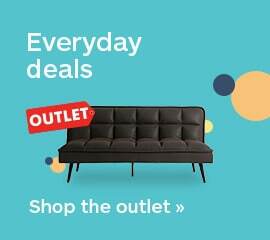 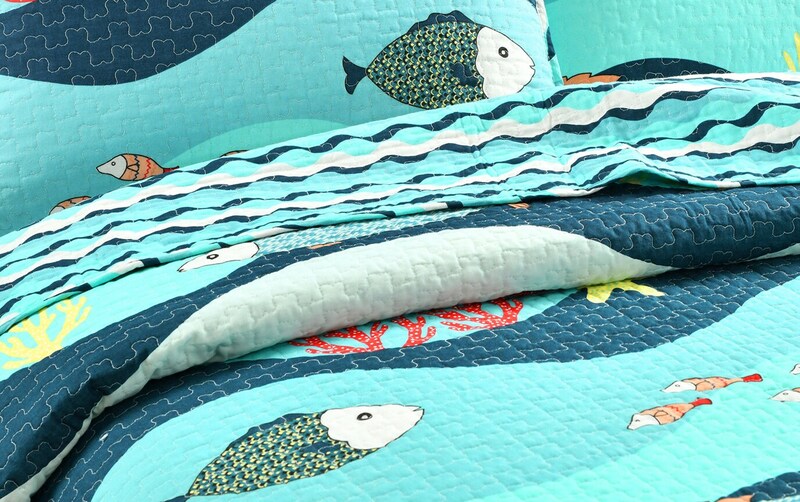 Dive deep into the ocean with my Ocean Life 2 Piece Twin Quilt Set! 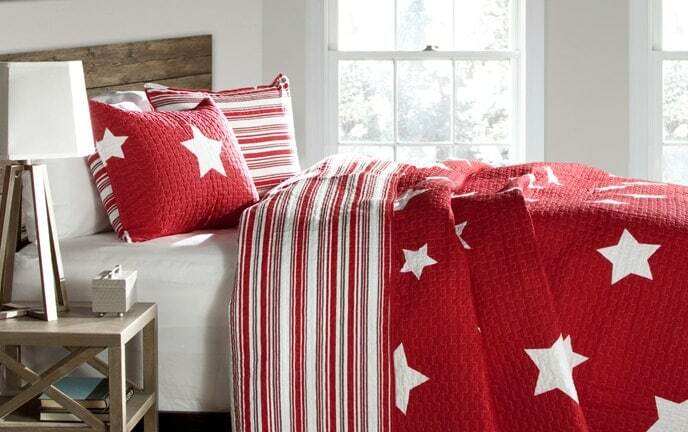 In shades of vibrant blue and navy, this cotton quilt and matching sham display colorful fish, coral and other sea life. 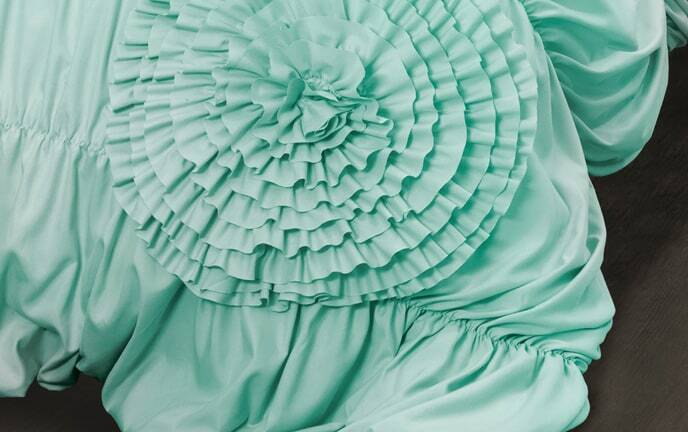 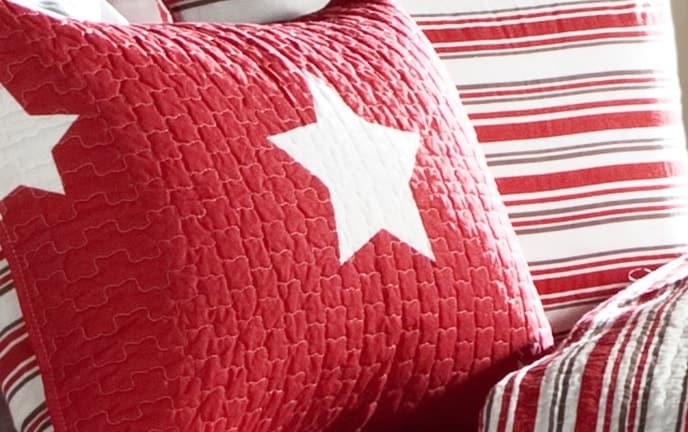 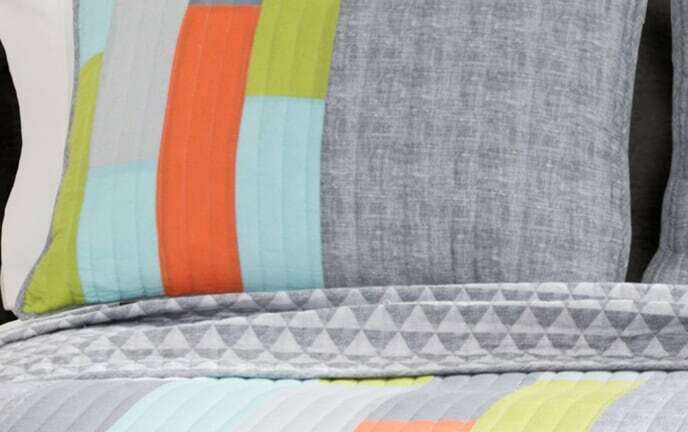 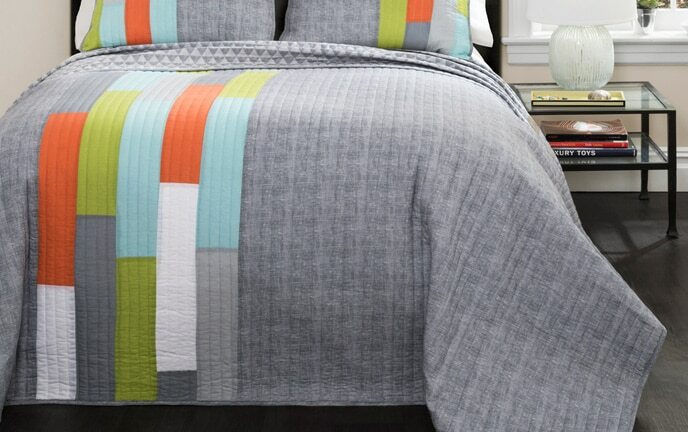 Fold back the quilt to reveal a fun pattern on the reverse! 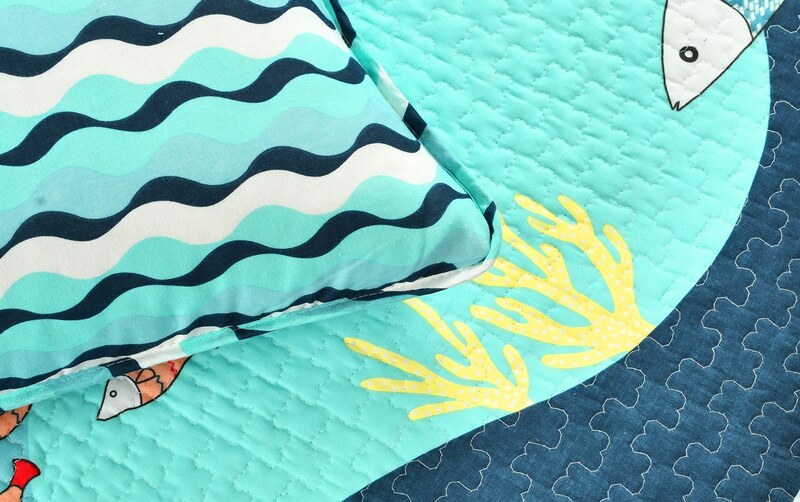 This set will blend right in at a beach home, but I won't judge if you just plain love the ocean!